These Starter seedlings are not available for shipping during the Fall/ Winter seasons ,.. During the Fall/ Winter Season we encourage our customers to Pre-Order , reserve thier shipments for the following upcoming Spring Foliage season. We ship out reserved orders on a first come - first served basis on our shipping work order schedule list when Mother nature decides to let the Drummond Red Maples emerge , WE HAVE NO CONTROL OVER WHEN THE MAPLES ARE READY FOR SPRING SHIPPING. 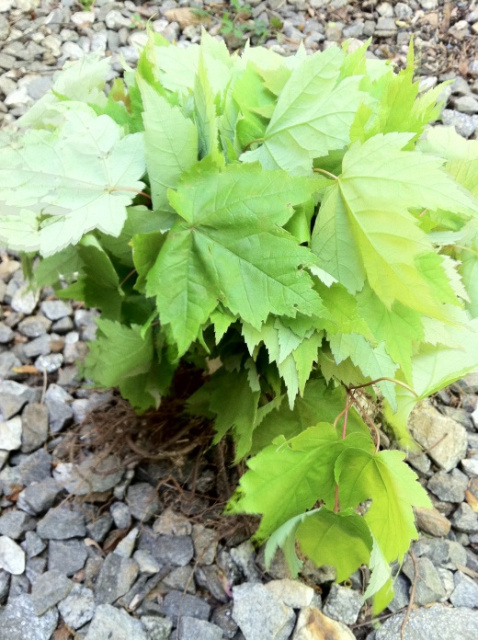 Your order will be shipped as the Drummond Maple seedlings are ready to be shipped and emerge for Spring fresh foliage. ORDER NOW TO RESERVE FOR NEXT SPRING SHIPPING SCHEDULE .